As a global leader in digital imaging, Planmeca provides a range of solutions designed to suit all imaging needs. All of the company’s CBCT units support three different types of 3-D imaging, as well as extra-oral bitewing, cephalometric and digital panoramic imaging. This ability to go between 2-D and 3-D imaging allows clinicians unparalleled flexibility, according to Planmeca, as they can choose the techniques that work best with each case. With proprietary features for imaging with ultra-low radiation doses and patient movement correction also available, Planmeca promises to deliver a completely unique dental digital imaging experience. 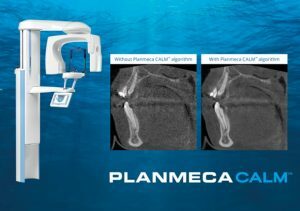 The Planmeca Ultra Low Dose protocol is the best method for acquiring CBCT images at low radiation doses, according to the company. It can be used with all voxel sizes and in all imaging modes and allows clinicians to gather more information than from standard 2-D panoramic images at an equivalent or even lower dose. All of this is possible without a statistical reduction in image quality. 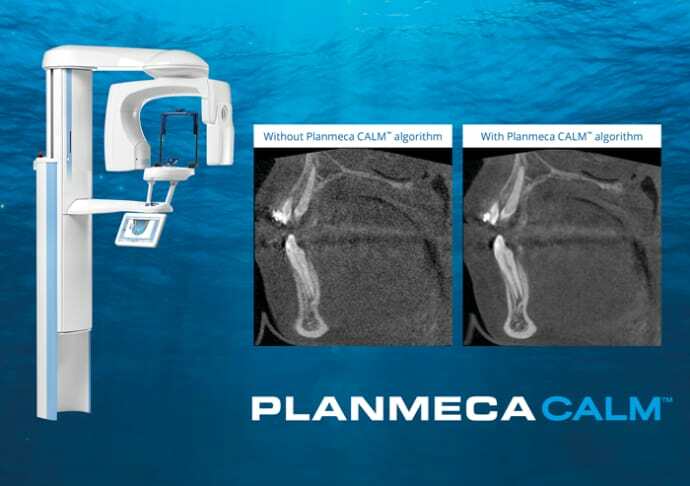 Whereas Planmeca Ultra Low Dose protects patients from unnecessarily high doses, the new Planmeca CALM imaging protocol helps avoid retakes by compensating for movement. Patient movement is the largest contributor to poor image quality. According to a study by Spin-Neto and Wenzel, patient movement may occur in more than 40 per cent of dental imaging cases, leading to a reduction in quality for many CBCT scans. Planmeca CALM corrects artefacts caused by movement, resulting in sharper final images and minimising the need for rescanning. The algorithm can be applied before the image is captured, as well as after the scan has been completed. When purchasing a new CBCT unit, clinicians should ensure they request all the necessary information on the product. This would include accurate information on patient radiation doses and comparison of the differences in image quality between standard and low-dose images, as well as images with and without artefact correction. Making the right choice will lead to improved diagnostics, saved time, reduced costs and lower radiation exposure for patients.